The Cove Palisades State Park is a state park located in Jefferson County near the towns of Culver and Madras. 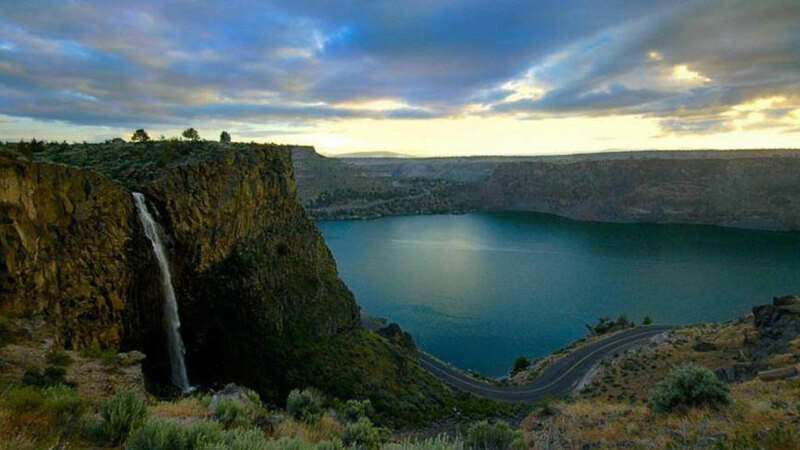 A popular location for boating, it is located on the waters and surrounding lands of Lake Billy Chinook, a manmade reservoir created by the Round Butte Dam across the Deschutes River, built in 1964. Lake Billy Chinook’s spectacular scenery and sunny, hot summer weather lie deep in canyons carved by three rivers: the Crooked River, Deschutes River and Metolius River. Home of Cove Palisades Resort and Marina, this park concessionaire offers two full-service campgrounds, rental cabins, food and supplies for sale, marina access to Lake Billy Chinook with watercraft rentals (including their popular house boats), fishing, day use and picnic areas, and hiking trails. On hot summer days, the beach area hosts many families cooling off in the swimming area and in the winter, the area is a mecca for birdwatchers, particularly with the large local population of bald eagles. The park also offers historical interpretation, which includes the Crooked River petroglyph in the park. From lakeshore log cabins to nearly 10 miles of hiking trails to a campground with 88 spaces and a lake ready for water fun, Cove Palisades State Park is popular year-round.